The World Meteorological Organization (WMO) commissioned the WMO 2016 Survey on the Use of Satellite Data to collect information on the availability and use of satellite data and products for meteorological and related environmental applications by users globally, and to identify obstacles and areas for improvement. WMO carries out this global Survey every four years, and the results from the previous 2012 Survey1 are used as a baseline in this report wherever possible. This document describes the underpinning skills that support the WMO competencies that relate to the use of satellite data by operational meteorologists. This document explains how to initiate and develop a functional NFCS that will serve as a key coordination mechanism to bring together the local, national, regional and global stakeholders needed for successful generation and delivery of co-designed and co-produced climate services with and for users, effectively linking climate knowledge with action on the ground at national and local levels. – Recognizing and having the ability to meet international obligations, agreed development goals and other international initiatives. The aim of this publication is to provide a specification for the shortlist of NCMPs that can be produced consistently and easily by most countries. By having clearly defined NCMPs, it should be possible for countries with fewer resources to focus their efforts on a small number of products that have wide applicability and interest. The purpose of the WMO nowcasting guidelines presented here is to help National Meteorological and Hydrological Services (NMHSs) by providing them with information and knowledge on how to implement a nowcasting system with the resources available to them and an understanding of the current state of science and technology. The Guidelines represent WMO’s approach to project management and outline key stages of the project life cycle that WMO staff should follow. The Handbook aims to help WMO to improve concrete processes and procedures related to project management and provides detailed guidance on how to go about each stage of the project life cycle. This technical document is an update of WMO/TD-1210, WCDMP-55, Guidelines on Climate Data Rescue (2004). It builds on the original Guidelines, while taking into account both changes in technology that have occurred in the intervening 12 years and lessons learned in more recent climate data rescue activities around the world. An overview of data rescue is presented with chapters on its importance, archiving original media, imaging, digitization and archiving digital images and digital data. Twelve appendices provide supporting information. The corporate visual identity guidelines are aimed at strengthening the Organization’s identity through branding. Improving the understanding of the potential impacts of severe hydrometeorological events poses a challenge to NMHSs and their partner agencies, particularly disaster reduction and civil protection agencies (DRCPAs). These Guidelines establish a road map that identifies the various milestones from weather forecasts and warnings to multi-hazard impact-based forecast and warning services. These guidelines review the rationale for hydrological data rescue, the benefits to be derived therefrom, appropriate rescue methods, sound data management practices as well as data management systems, procedures for securing rescued data far into the future and for safeguarding data through storage in an international database. These Guidelines are intended to provide a one-stop, consistent and up-to-date reference resource for everything managers need to know about running a National Meteorological or Hydrometeorological Service (NMS). This publication is intended for those involved in providing training for staff in a National Meteorological and Hydrological Service (NMHS) or related agencies. In particular, it aims to strengthen training departments and enhance the expertise of trainers by providing a reference manual and introductory guide. It includes guidance on the options available to ensure positive learning experiences for individuals and organizations. This guide is intended to help Permanent Representatives of WMO (hereafter referred to as PRs) and potential candidates understand the purpose and benefits of the WMO Fellowship Programme. It will familiarize them with the application procedure, requirements, entitlements and available fellowship opportunities. It builds upon the Manual on Policies and Procedures for WMO Fellowships (WMO/TD-No. 1356, ETR-18) but takes into account the funding situation for the current financial period, identifying which elements of support can be offered within the available funding. This guide is targeted at NMHSs and is intended to demonstrate the benefits that NMHSs gain by participating in WWIS, and to provide step-by-step guidance for a National Meteorological or Hydrometeorological Service (NMS) wishing to either join the WWIS initiative or to enhance its level of participation. Templates of the standard forms that NMHSs would need to complete to join or enhance participation in the WWIS are also provided. The Conference provided material, and, in particular, a number of studies which are contained in these proceedings and which will be used in the development of guidelines on undertaking the analysis, assessment and demonstration of socio-economic benefits of meteorological and hydrological services. These guidelines will complement the development of demonstration and pilot projects and capacity-building and training activities on this subject. These proceedings represent the collection of abstracts of papers delivered at the Conference. In this report we begin by describing and discussing approaches that can be used to estimate such return values in Chapter 2. Approaches based on extreme value theory as well as ad hoc methods are considered. We then present in Chapter 3 some worked examples using two time series of significant wave height measurements, one in deep and the other in shallow waters. 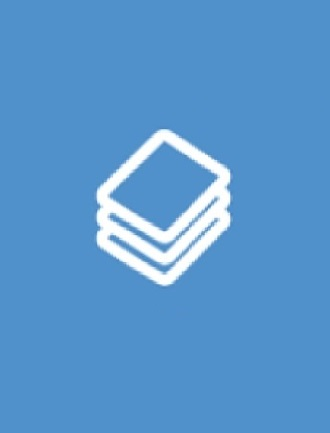 In Chapter 4 we provide an inventory of software packages available to carry out extreme value analyses. We finish in Chapter 5 with some guidelines / recommendations. This paper is part four of a series of documents dedicated to instruments for the measurement of solar ultraviolet radiation. The series of documents has been drawn up by the WMO Scientific Advisory Group on UV Monitoring and the UV Instrumentation Subgroup. The aim of the series is to define instrument specifications and guidelines for instrument characterization that are needed for reliable UV measurements. In 2010, a historic heat wave and numerous wildfires impacted Moscow and surrounding areas in the Russian Federation. At the same time, catastrophic flooding from unusually heavy monsoon rains was ongoing in Pakistan. Both events led to many fatalities and considerable human suffering. As climate change due to anthropogenic forcing continues, extreme weather events such as these are likely to become more common (IPCC 2007), further increasing the need for preparedness and early warning systems. This document provides a short summary of GCOS requirements for satellite-based climate monitoring that can serve as a guideline for the generation of satellite-based datasets and derived products in order to meet the requirements for climate monitoring and the long-term aspects of climate research. These guidelines are intended to help space agencies and other relevant institutions in the way they process and analyze datasets obtained from satellite instruments, to subsequently generate Essential Climate Variable (ECV) products (cf. Annex I and III). The aim of this handbook - prepared by Organisation Scientifique et Technique Internationale du Vol à Voile (OSTIV) - is to provide the reader an internationally agreed set of guidelines for meteorological forecasting in soaring flight and related activities. This tool provides general guidelines for effectively organizing community activities to ensure participation at various levels of decision-making and capacity building in flood management. Several issues related to the engagement of flood managers, NGOs, and policy makers in harmonizing community activities with other development policies and natural disaster, are also addressed to build necessary institutional frameworks to enhance community participation. 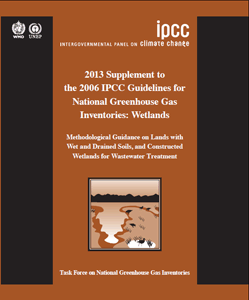 This brochure provides a summary of the Guidelines on Climate Watches (WCDMP-No. 58; WMO/TD-No. 1269) of April 2005, in accordance with the climate watch definition approved by the Commission for Climatology at its fourteenth session, held in Beijing from 3 to 10 November 2005. Providing guidance to the senior managers of Hydrological Services, on the key issues they might face, as they lead, manage and administer their services. All aspects of management are reviewed: strategic planning, human resources management, financial management, marketing, asset management, process and quality management, relationships with other institutions. This publication is especially important at a time when NHSs worldwide are typically having their mandate expanded from basic hydrology to hydrology in the broader context of sustainable water resources management. The Guidelines should help achieve the objectives of the International Decade for Action "Water for Life" (2005–2015). They are designed to serve as guidance for the main stages of project formulation and implementation including initiation, development, realization and management, as well as monitoring and evaluation, of HYCOS projects. It is expected that the information in this brochure should allow for the exchange of experience, data and information among development projects and activities and thereby help in developing and improving the implementation of HYCOS components. This publication deals with the classification of hydrological personnel and curricula for their initial qualification and early specialization in hydrology within the broader context of integrated water resources management. It is aimed to assist educators and managers in designing and implementing eduction and training programmes. The purpose of this Technical Document is to provide guidelines which deal primarily with the provision of weather services to the general public through the Web. However, for completeness, weather services that are more appropriate to the specialized user are also mentioned. Provides advice to National Meteorological Services (particularly small services) envisaging the automation of all or some of their data-processing facilities or expanding automation. General guidelines are presented for decision-makers on what to automate and how to do so, including securing the necessary financial resources. Other aspects covered include system design, installation and maintenance and contractual and personnel considerations. Configuration examples are given. This publication provides basic information relevant to the understanding and implementation of Resolution 40 (Cg-XII) - WMO policy and practice for the exchange of meteorological and related data and products including guidelines on relationships in commercial meteorological activities, which is reproduced in full therein. This paper describes various methods which can be used for the quality control of meteorological data. A range of methods are covered, from very basic checks for correct coding, to time and areal consistency. Homogeneity of the data is dealt with separately. The incorporation of climatological principles in urban design was seen by the conference to be vitally urgent and this publication contains 20 papers presenting examples and suggestions. The siting of new towns and certain hazardous industrial facilities are treated and general guidelines given for urban design in both hot and dry, and hot and humid climates. Provides advice to National Meteorological Services (particularly small services) envisaging automating all or some of their data-processing facilities or expanding automation. General guidelines are presented for decision makers on what to automate and how to do so, including securing the necessary financial resources. Other aspects covered include system design, installation and maintenance and contractual and personnel considerations. Configuration examples are given. This publication provides an introduction to the concepts, terminology and application of computerized data processing for land and water experts. Part I covers the common principles and practices of data processing. Part II deals specifically with computer applications for hydrological data. Aimed at agrometeorological observers whose duties are to observe crops, pastures, soils, etc. and to check, process or analyse such data, these lecture notes contain guidelines on agrometeorological, phenological, state-of-the-crops and soilmoisture observations, as well as determination of the agro-hydrological properties of the soil, visual observations on the wetness of the topsoil and agrometeorological observations on pastures. WMO data provide the basis for better understanding the climatology of severe weather and extreme events such as tropical cyclones, El Niño, floods, heat waves, cold waves, droughts and other natural hazards, contributing to saving both lives and property, and improving our understanding and monitoring of the climate system and environment. WMO has drawn attention to issues of major concern, such as ozone layer depletion, global warming, climate change and diminishing water resources.